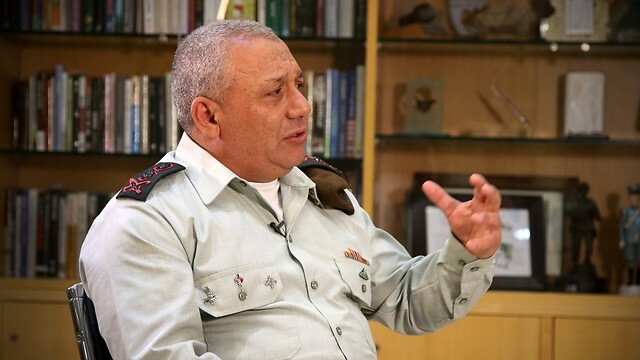 In his first interview since taking office, IDF Chief of Staff Eisenkot tells Ynet about the IDF’s covert operations to stop Iranian aid to Hezbollah and Hamas, talks about attempts to get Nasrallah, and discusses both the Azaria case and the submarine affair. 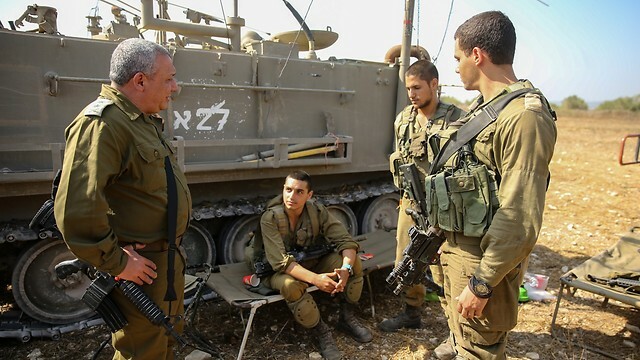 The scenario for the breakout of the next war, which the IDF’s Northern Command has recently drilled as part of a large-scale training exercise, includes the infiltration of Hezbollah fighters into an Israeli community. 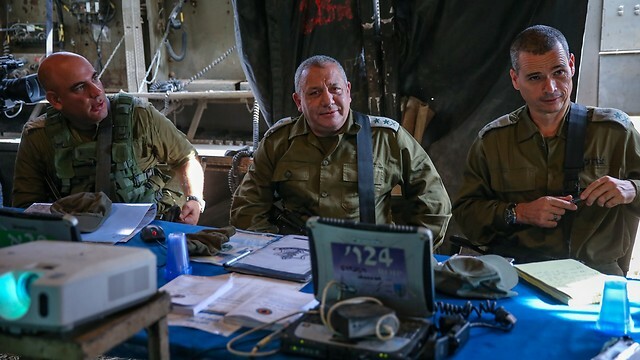 With the High Holy Days marking the start of a new Jewish year, IDF Chief of Staff Lt. Gen. Gadi Eisenkot looks to the north, where he sees the gravest threat to Israel in the region. 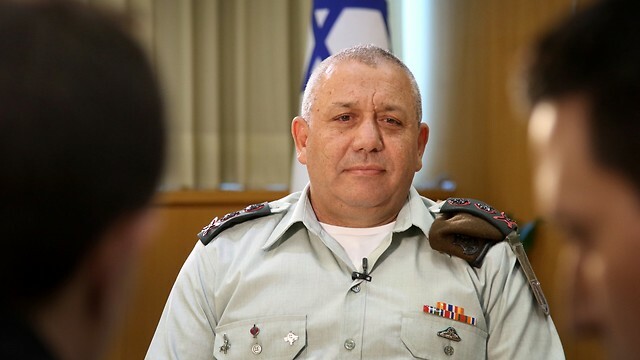 In his first interview since taking office as the IDF’s top commander, Eisenkot talks about the preparations for a war with Hezbollah, past and maybe future efforts to eliminate its leader Hassan Nasrallah, and the greatest enemy of all—Iran. Eisenkot also discusses the other threats and issues that have placed the IDF, and him, in the spotlight over the last year: From Elor Azaria to the submarine affair. A caricature hangs on the wall of the IDF chief’s office depicting Nasrallah, Syrian President Bashar Assad, and former Iranian president Mahmoud Ahmadinejad looking at Eisenkot, then still a major-general, in his combat uniform and his yet-to-go-gray hair, on the day he was discharged from the IDF. “I have a feeling we’ll be seeing him again,” the three say with a wicked smile.The caricature is from 2011, when Eisenkot had one leg out the door, after he finished his term as the GOC Northern Command and following the nomination(which was later withdrawn) of Maj. Gen. Yoav Galant to IDF chief. Alongside the prophetic caricature is a metal statuette of an infantry soldier’s shoes made of shrapnel from mortar shells and rockets launched at Israeli communities on the Gaza border. The shoes are walking on a sketch of the map of Israel. This farewell present from his former head of office, Col. Nir, is more of a depiction of Eisenkot’s current role as an intrepid Golani infantryman who has no qualms about marching down a long path, charging with zeal at any goal he sets for himself and achieving it. 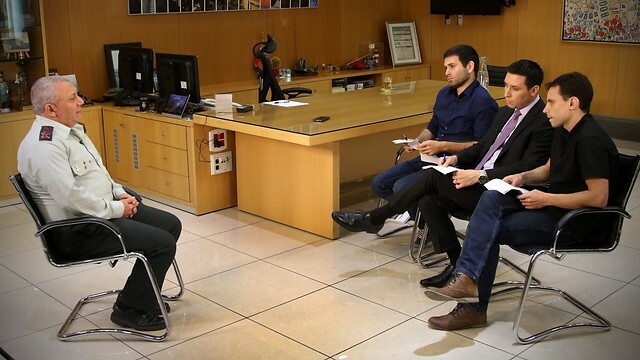 The word Eisenkot keeps using during the interview is “stateliness.” As a follower of David Ben-Gurion, the first Israeli premier’s legacy of “stateliness” is one of the main assets Eisenkot is fighting to keep in the IDF. Sometimes, he does so while swimming against the current. Our first meeting took place in the field on the final day of the large-scale Northern Corps training exercise, which simulated an all-out war against Hezbollah. The decision in principle to hold this massive drill was among the first he made when he took over the IDF’s reins. Are we facing imminent war? “At the moment, I don’t see desire or motivation in any of our enemies to attack, to intentionally start a war. Our experience has taught us that our test as an army should center on capabilities. There is significant capability (to start a war) in Lebanon and certain capability in Syria. “Hezbollah is a semi-military organization, with many components and aspects of a military. 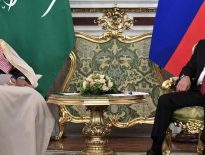 It has gained experience over the last few years in the kind of fighting I don’t take lightly: It operated battalions and brigades, received offensive aid, made intelligence collection efforts. Alongside that, Hezbollah also paid a very steep price—2,000 of its men were killed and some 7,000 wounded. Defense Minister Lieberman has said that in the next confrontation in the north, Lebanon will burn on several fronts. How will the next war look? As the one who rehabilitated the Northern Command in the five years that followed the war in 2006, Eisenkot has become identified with the Dahiya doctrine: The use of disproportionate force to destroy the Hezbollah stronghold in Beirut, which to this day serves as the underlying deterrence for Nasrallah. During Eisenkot’s tenure, the IDF has stepped up what has been dubbed as “operations between wars”—missions designed to thwart Hezbollah and Harmas’s efforts to arm themselves with advanced weaponry. In fact, special air, naval and land forces have been splitting their time in recent years between training and such covert activity, to which Eisenkot dedicates a significant portion of his time. “The IDF is working around the clock to allow Israel’s citizens to live in security. Our forces operate overtly and covertly every night to complete their missions,” he says. Some of these operations are meant to prevent the conversion of thousands of Hezbollah’s rockets and heavy missiles into precision-guided munitions at factories Iran is planning to build in Lebanon or Syria. Improving the accuracy of these projectiles would allow Hezbollah to hit within a radius of no more than a 100 meters from their target—be it the IDF Headquarters in the Kirya, the Ramat David Airbase or the Haifa refineries. “We consider accurate munitions to be a very severe strategic threat to the State of Israel. We’ve been dealing with the aspiration to reach this capability for years now and have worked to prevent it, so far successfully. At present, there are no precision-guided munitions threatening Israel’s strategic locations,” Eisenkot assures. “To the credit of the defense minister and the Cabinet, I can say the IDF enjoys very broad operational freedom. I can’t remember an operation we recommended that we’ve not been allowed to carry out. 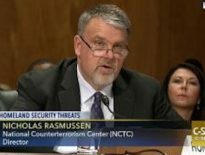 Our ‘operations between wars’ have not led to escalation because our enemies understand we’re hitting the capabilities that need to be targeted. We carry out many types of operations, some of them violent, and only a small portion becomes known. While the prime minister has publicly confirmed Israel’s attacks in Syria, the situation in Lebanon is a lot more complex. “A status quo has been established following the Second Lebanon War, in which attacks in Lebanon have only been done in response to incidents,” Eisenkot says. “And security calm has been established on both sides on the border. Our challenge is on the one hand to prevent the emergence of a severe strategic threat such as precision-guided munitions, while on the other hand maintain the security calm that has lasted for 11 years now, benefiting residents on both sides. As of late, Prime Minister Benjamin Netanyahu has been putting the Iranian nuclear program back on the international agenda in light of Tehran’s entrenchment in Syria. The prime minister discussed the matter with US President Donald Trump and spoke about it at length in his speech at the UN General Assembly, but it is doubtful Netanyahu could achieve his goal of having the nuclear agreement canceled. Are the Iranians in compliance with the agreement? Is the military option still on the table? How does the threat from North Korea change the picture? How close are they to Israel’s border? Despite the strengthening of the Shiite axis, which bolstered Syrian President Bashar Assad with Russian help, Eisenkot is not quick to declare the end of the “Islamic State” (ISIS) threat and confirms for the first time the IDF’s part in the fight against ISIS. “It’s too early to eulogize ISIS, because it is a phenomenon and an idea beyond being an organization. The fight against ISIS will continue for many years,” he says. There are changes in Gaza, at least on the outside. Do you see any change concerning Hamas? “The security situation at the Gaza border since Operation Protective Edge is complex. On the one hand, there’s unprecedented calm, the kind of which we haven’t seen since 1967. It’s been three years now that not a single Israeli citizens has gotten so much as a scratch. Unfortunately, one IDF soldier was lightly hurt, and several dozen rockets were fired—mostly close to the border. We are able to deter Hamas and allow for a very good security situation both on our side and theirs. “On the other hand, Hamas has been working to increase their power, including building up their underground capabilities, particularly the defensive ones, and attempting to obtain more rockets so they can return to some of the capabilities they had in the past. What is your position, as the IDF chief, on the topic? “This is a conversation that should not be had in public. It gives Hamas an advantage. They take advantage of our openness and our sensitivity when it comes to human life. They take advantage of the families’ distress, which is why we are taking steps to make things very difficult for the Hamas leadership, which will only increase. At the same time, we ensure the Gaza population can live their lives and not go hungry because of its irresponsible leadership. “At the moment, the Hamas government in the Gaza Strip is strong and dominant, but faces quite a few difficulties. 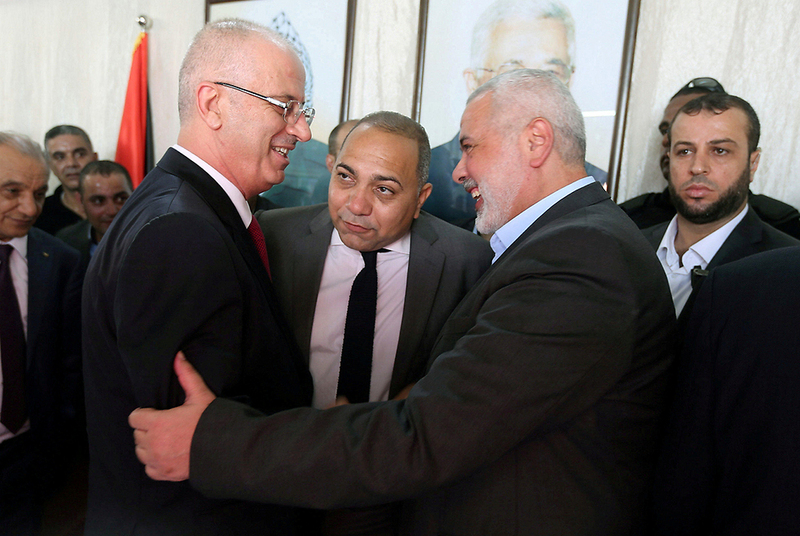 This was reflected when Hamas agreed to disband its administrative committee and seemingly begin reconciliation, though it doesn’t really want full reconciliation. The distress Hamas has been in since Operation Protective Edge has led it to a series of concessions to relieve the immense pressure it has been under. Is the IDF concerned that continuing building the Gaza subterranean obstacle , which is meant to stop cross-border tunnels, might lead Hamas to use a tunnel that crosses into Israel? Do you support the construction of a sea port in the Gaza Strip? Eisenkot has served as the commander of the Judea and Samaria Division at the height of the second intifada and was one of the architects of the victory over suicide bombers, who have not reared their heads again since. 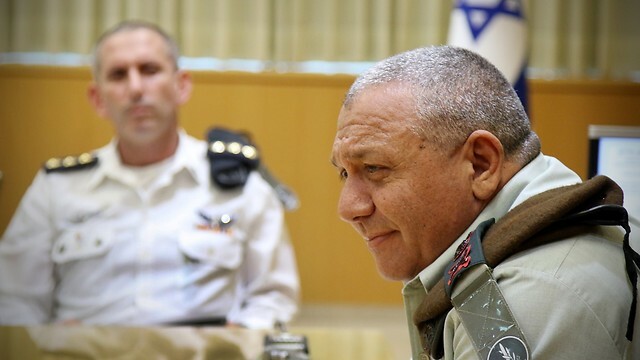 At the end of his first year as IDF chief, Eisenkot found himself, along with the top officers in the Central Command, once again dealing with a wave of terror attacks on the verge of escalating into a full-blown third intifada. The attacks, which claimed the lives of dozens of soldiers and civilians across Israel, were suppressed within a few months. “We consider the Palestinian Authority responsible. The (Palestinian) security services are making an effort to thwart attacks because of internal Palestinian considerations,” he says. 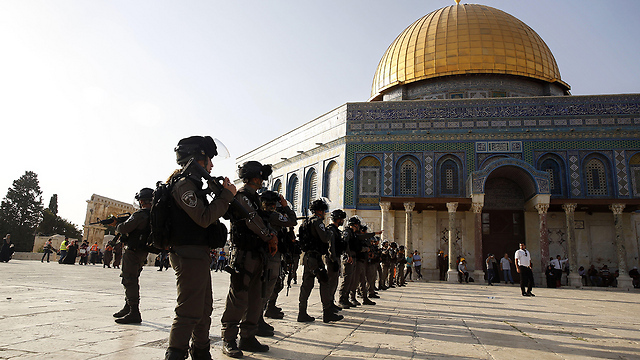 Over the last month and a half, since the Temple Mount crisis, “the cooperation with the PA has been limited, but still to the benefit of both sides. The PA is in charge of the life of over 2.5 million Palestinians in Judea and Samaria’s areas A and B. There’s dialogue,” Eisenkot says. Did you think of copying a part of this model to the strip and giving permits to Palestinians from Gaza to work in Israel? 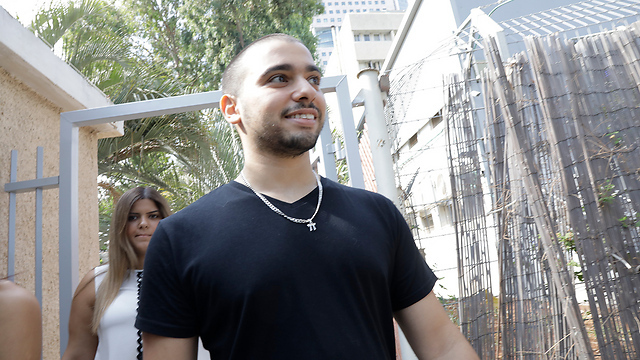 Shortly before Yom Kippur, the IDF chief decided to grant Elor Azaria’s request to commute his 18-month sentence, which the former soldier had already begun serving at Prison 4. Eisenkot decided to reduce four months from Azaria’s time, making it likely the former soldier, who shot dead a neutralized Palestinian terrorist in Hebron, will be out of prison within less than a year on good behavior. How do you respond to criticism from the judges in the first verdict, who said the IDF’s top command and then-defense minister Moshe Yaalon came out with statements against Azaria too soon, before the investigation was completed? 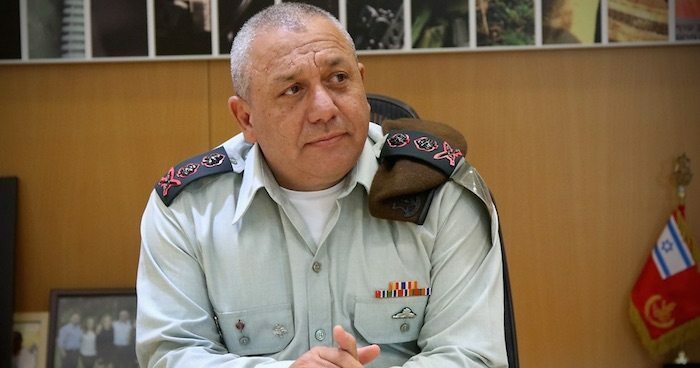 “My first comment as IDF chief was made a month and a half after the incident,” Eisenkot clarifies. “The IDF spokesman made a comment on the topic on the same day in front of the cameras, describing the incident as one that began with the attempted murder of two soldiers and praising their actions. He then said it appeared like an abnormal incident occurred after the attack, in which a soldier decided 11 minutes later to open fire at a Palestinian lying on the ground a meter away from his commander. At the same time, the IDF spokesman expressed the army’s view that the soldier was innocent until proven otherwise. The position the IDF took was professional and ethical,” the IDF chief insists. The two procedures—handcuffing and charging with murder—have since been nixed for similar cases of soldiers arrested for an alleged offense committed under operational circumstances. What did you make of the hateful chants outside the Kirya IDF Headquarters, such as ‘Gadi beware, Rabin’s looking for a friend,’ ‘This night, Gadi, you will die’? This kind of discourse doesn’t exist in a vacuum. Some politicians dragged the IDF into this argument. “Any external attempt to influence the army’s positions, norms, values and its courts is wrong. I hope lessons are learned from this and the military justice system, which is clean, is allowed to make the IDF stronger, more ethical and more professional. I have no expectations from a mob, but I do have expectations from leaders, and everyone should learn from this, myself included. “The IDF’s commanders should be allowed to dictate the army’s values. We can’t hide behind civilian discourse. We’re leading soldiers in missions and must make every effort to bring them back safe and sound, and commanders took a stand based on these values. I give my full support to the commanders, even if errors were made along the chain of command. Did this incident cause damage to the IDF? What is your message to Azaria? Another issue that hits close to home for Eisenkot is the submarine affair. So far, no IDF officer currently serving in the army has been questioned in connection with the affair. Even the allegations attributed to former Navy commander Maj. Gen. (res.) Eliezer Marom concern the years following his retirement from the IDF. However, it is possible current IDF officers might be questioned soon, and the IDF chief has already decided in principle to establish—likely after the completion of the police investigation—an internal inquiry team to deal with the issue of conflicts of interest for retiring officers. “The historical understanding is that IDF officers don’t touch money. The IDF presents the operational needs and those required to fulfill those needs are civilian elements. The right thing is to set a very high wall separating officers and influential people,” he says. “If there was a criminal offense and officers did have a hand in it, we would be sure to bring them to justice,” he adds. There are currently five submarines in service in the Israeli Navy. Two of them are new and, according to foreign reports, are capable of carrying nuclear armament. An additional submarine, INS Dakar, will arrive from Germany in a year. Earlier this month, the High Court of Justice tossed out an amendment to the Conscription Law that lowered the annual quota for ultra-Orthodox men being required to serve in the IDF. The court tasked the government with passing new legislation within a year that would prevent discrimination and equally distribute the burden of service. If you ask Eisenkot, he’d be willing to conscript thousands of additional Haredim first thing tomorrow not just in the name of equality, but primarily for operational needs. “Every 18-year-old man or woman needs to come to the IDF induction center and enlist, including the Haredim,” Eisenkot clarifies the IDF’s position. 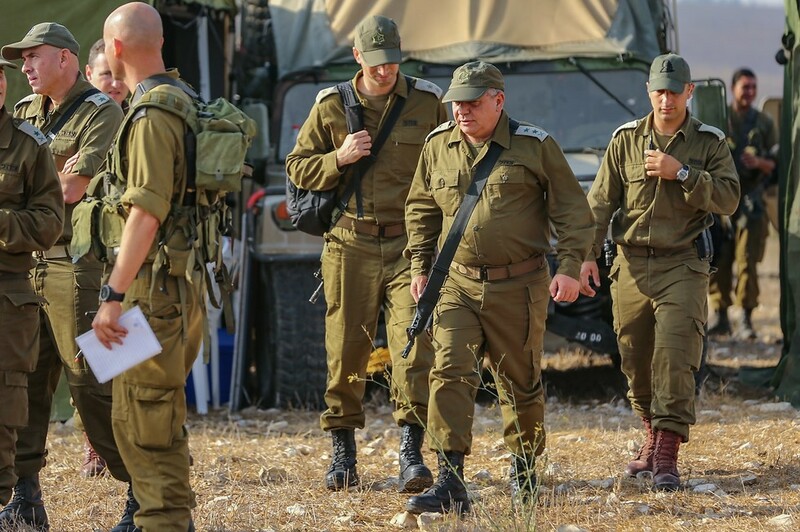 According to Eisenkot, the IDF is willing to bear the costs of conscripting the Haredim and making the necessary adjustments of service conditions. “This is what it means for the IDF to be the people’s army. You can’t say that and then have selective service,” he explains. “We need to demand a general draft of all sectors of Israeli society. If there’s a wide-scale conscription of Haredim, they’d look at soldiers differently and won’t view them as something to attack. Today, there are 7,000 Haredim serving in the army, among them 400 are officers and career soldiers. This successful integration of Haredim makes the army stronger. 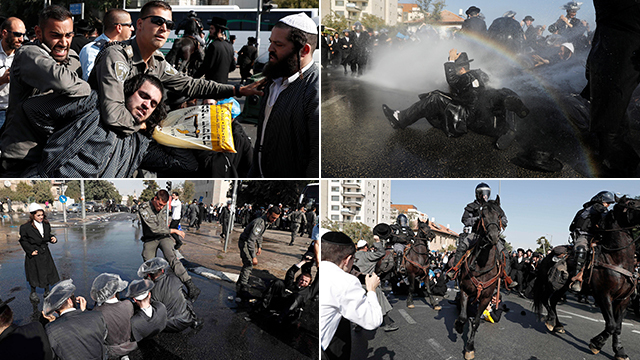 This phenomenon of a Haredi soldier going home and being beaten is wrong and very serious. The aspiration is to have all parts of society help in carrying the burden of security,” he elaborates. 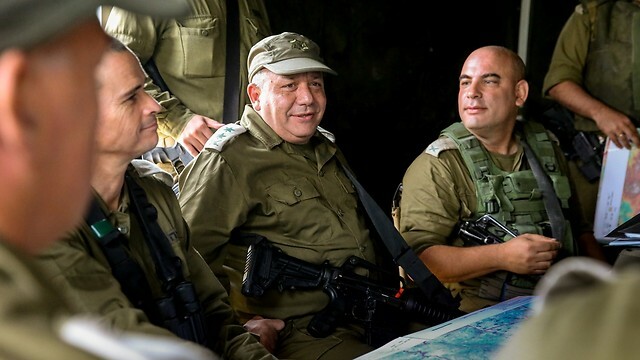 While Eisenkot is popular among the public, he still receives quite a lot of criticism and suffers abuse, perhaps more than any IDF chief before him. He has been branded as a “leftist” for a series of moves that were not popular across the board, including canceling the exemption from shaving (which angered religious soldiers); increasing the amount of female soldiers in combat roles and launching a pilot to open the possibility of serving on tanks to women as well; instating co-ed service for men and women; bringing the separate Jewish Awareness Department under the Education Corps; condemning Elor Azaria’s actions; giving the ‘scissors speech’; supporting easing restrictions on the Palestinians in the West Bank; and supporting the plan to expand Qalqilya. Next Article U.S. Believes Hezbollah Determined to Develop Attack Capability Inside U.S.